Who is the most successful man or woman you can think of? The wealthiest? The wisest? Whoever that is, what if you could read their journal full of thoughts and wisdom? Besides Jesus, Solomon was the wisest human ever to live (1 Kings 4:29-31). He was also the wealthiest; He brought in $1.1 billion a year in gold alone! Silver & gold were as common in Jerusalem as STONES (2 Chr. 1:15)! He collected his knowledge into the Book of Proverbs. Tap into all that insight! Sit down with Solomon every morning and learning from him! There are roughly 31 days a month and there are 31 Proverbs. 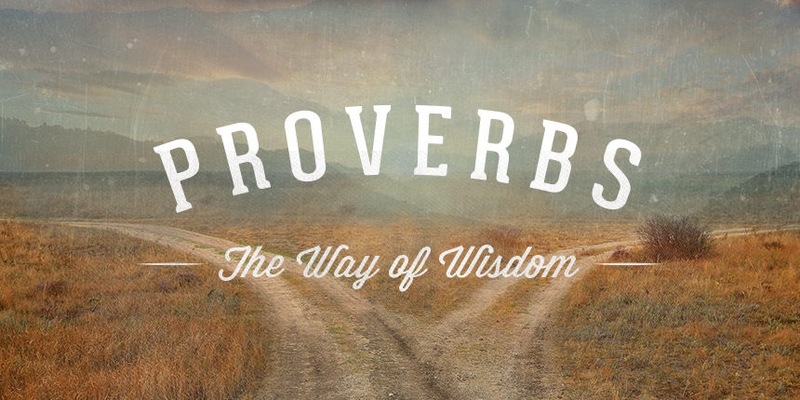 If you read 1 per day, you can read the whole Book of Proverbs 12 times a year. It takes only a few minutes to read each chapter. Imagine the wisdom you would learn in just minutes a day! Easy reading schedule: Just match the date with the chapter. If it is the 3rd of the month, read the 3rd chapter. Don’t overlook this powerful book in the Bible. A chapter a day may keep bone-headedness away. This entry was posted in Christian and tagged Bible, Christ, Christian, Christianity, church, Discipleship, Faith, God, Gospel, Holy Spirit, Hope, Jesus, Leadership, Love, Mercy, Old Testament, practical, practical living, prayer, Proverbs, Religion, Religion & Spirituality, Religion and Spirituality, Scripture, Solomon, Truth. Bookmark the permalink.